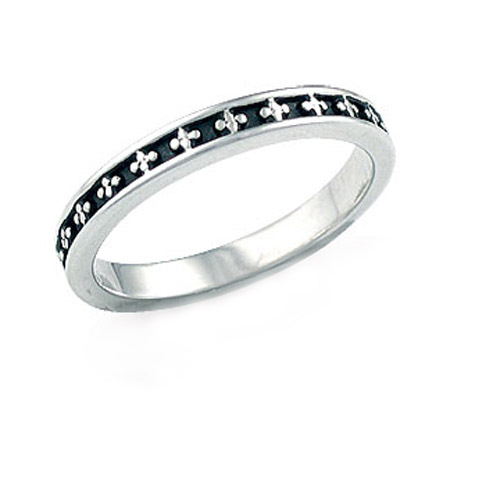 Desc: Landstrom's Black Hills Gold Sterling Silver cross stackable ring. The ring is 2mm wide and flat sided. The cross design is along the center with antiquing.